Your child has many milestones to reach over the course of their life. Modern medical science has made it simpler for you to track every stage of their development, like when they should be able to lift their head or roll over. Their teeth coming in is a big milestone, as well. It means both you and your child have a new set of responsibilities. For you the question is, “When should I take them to see the orthodontist in Mullica Hill?” Should you wait until all of their baby teeth fall out? Should you go as soon as their teeth come in? Dr. Alex Colalillo has the answers to all of these questions and many more. The transition from the baby teeth to the permanent teeth is very important. The location of the baby teeth is a significant indicator of how the adult teeth will come in. The American Association of Orthodontics recommends that you should take your child to see the orthodontist by the time they are 7 years old. They will probably still have most of their baby teeth, but by this age, their adult teeth will be substantial enough for Dr. Colalillo to know a lot about them, even while they are still in their gums. Your child’s teeth may appear straight, but they could have underlying issues in their adult teeth that you simply can’t see yet. Dr. Colalillo will be able to spot subtle signs in their developing teeth that could cause them to be crooked, or could change how their bite fits together. A quick check-up will enable him to catch any potential problems early and treat them easily. It is much simpler to treat orthodontic issues at this stage than after all of their permanent teeth have come in. Early appointments give Dr. Colalillo the chance to do anything he can to make sure your child’s smile will be straight. These can both indicate orthodontic issues, or may lead to them in the future. The key is that the baby teeth directly affect the permanent teeth, so don’t assume everything will be fine once they have all fallen out. 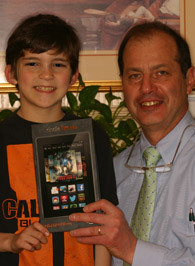 Early intervention is the best way to treat and prevent most orthodontic issues. 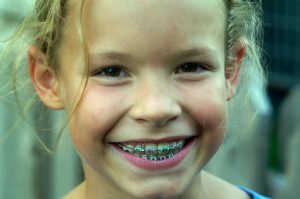 If your child needs kid’s braces in Mullica Hill, for example, starting early will help shorten treatment and make it easier for both them and Dr. Colalillo. A quick check-up today can help save you and your child from more involved and expensive treatments in the future. If you have any questions about if it’s time for your child to visit their orthodontist, please call us today.